We have no physical office. It's remote but efficient team. 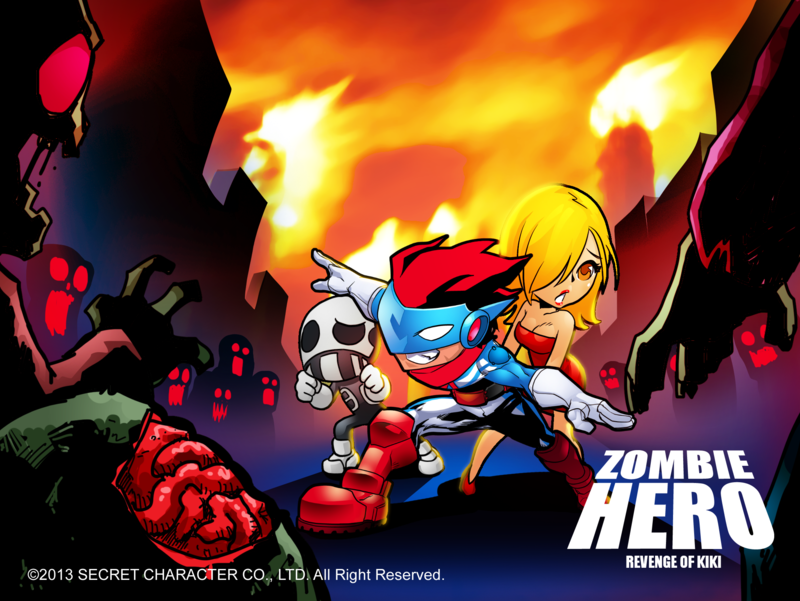 Zombie Hero : Revenge of Kiki is a beat'em up game which allows you to play as Kiki, a turned around villain, who is now an only hope to save the mankind in the time of zombie rampage infecting the whole city and all brave hereos into zombies with no reasons. The team found each other through webboard and facebook group hanging out and asking for collaboration for works. Ping (Jirakorn), our game designer, started the whole process and bring the team together. He knew Kum (Kumpol) first and once did a game together featuring for local well-known record studio. Then the twos have a game idea to work with but know that they need someone who can make it happen for them. So Best (Wasin) is invited into the team via chatting in Facebook Group during the time the two were asking for collaborators. 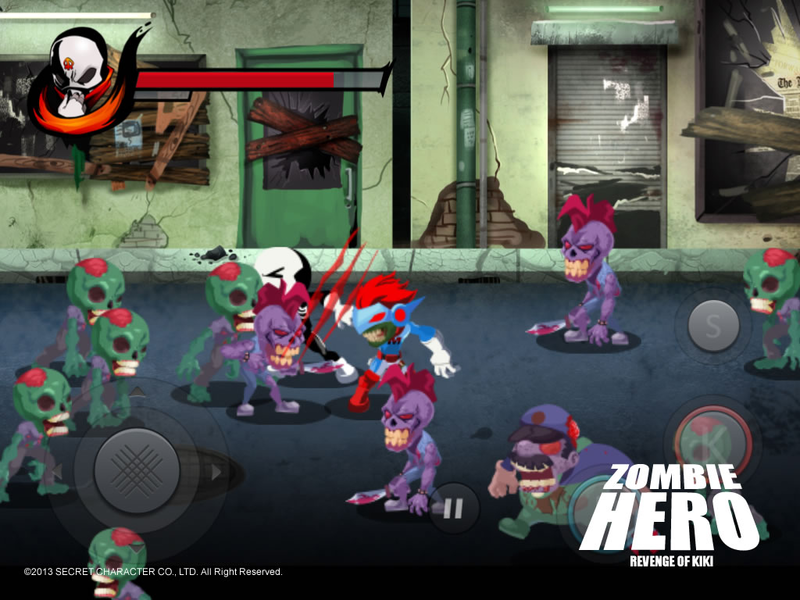 Best did create several games for worldwide competitions. 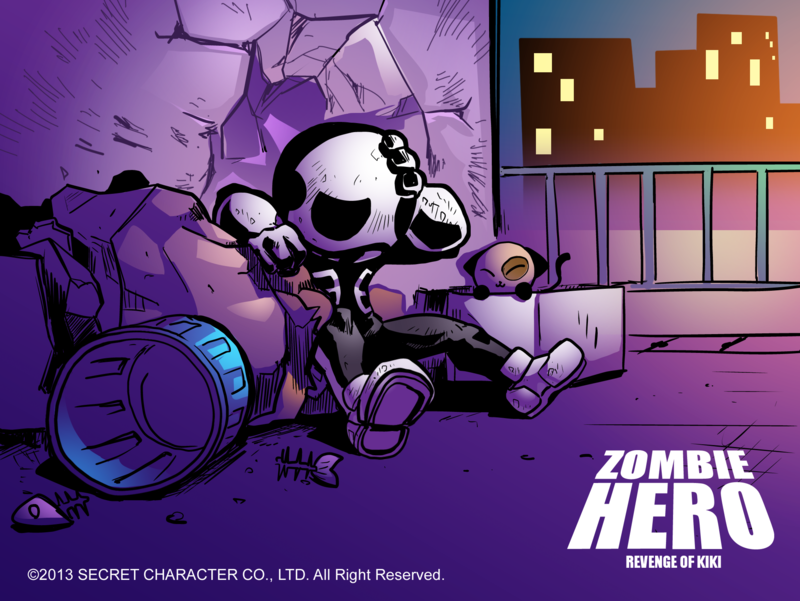 The team started working together and has switched from one game idea to Zombie Hero which leads to this project. The project really got going in the early of January 2013 but before that for several months are used for researching, getting familar with iOS platform, and has some delays or frictions. But now several months has passed and the project is heavily in developed with focus and determination. We know that we're up to something big. 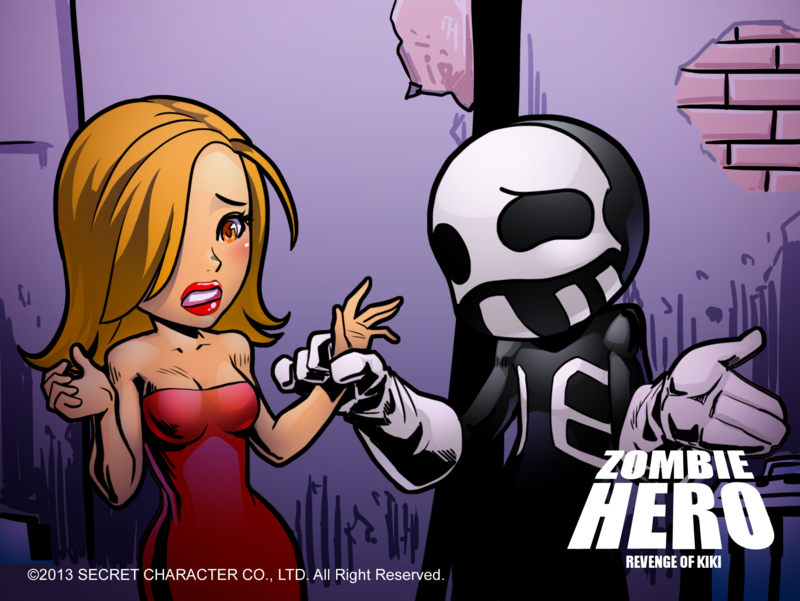 There are far more images available for Secret Character, but these are the ones we felt would be most useful to you. If you have specific requests, please do contact us! 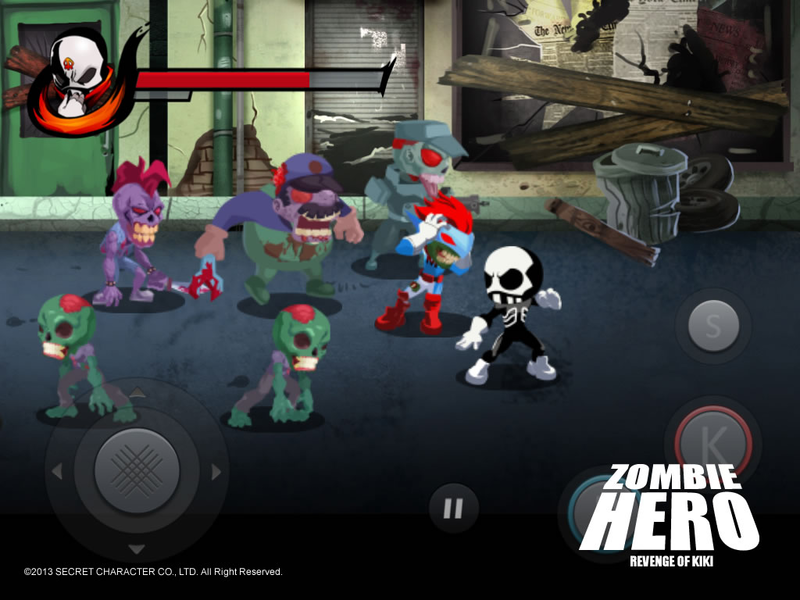 "Zombie Hero: Revenge of Kiki arrive pour la rentrée sur iOS." "... 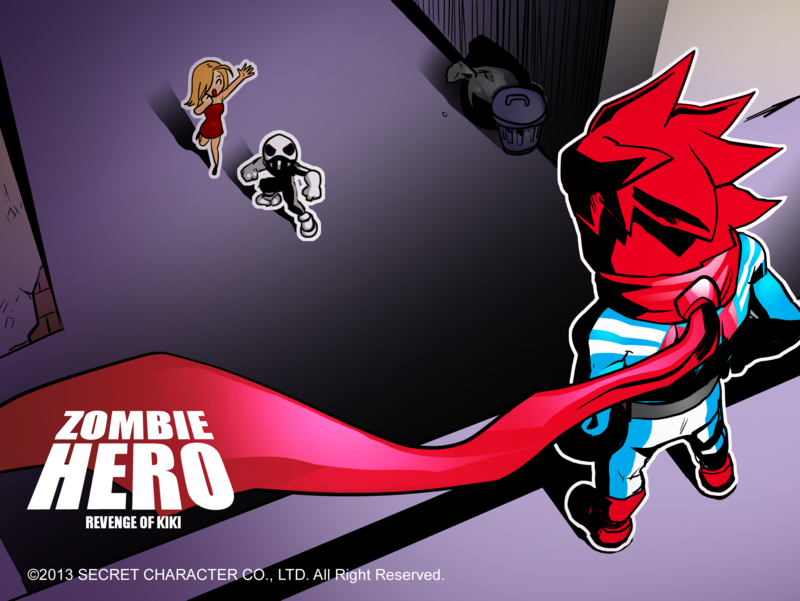 I love the art style of your game! 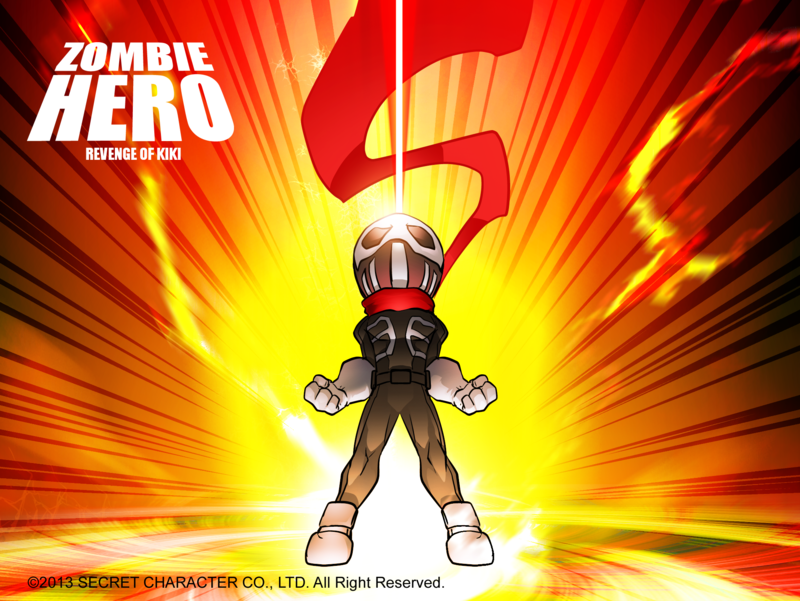 I'll be excited to see it when it releases ..."
"... the game shots looks very nice btw ^_^"
"ล่าสุดทีมผู้สร้างเกมส์ Zombie Hero ได้ปล่อย Teaser แรกของเกมส์นี้ออกมายั่วน้ำลายกันแล้ว"
"There will be plenty of nods to video gaming history with the “hero” zombies in the game." 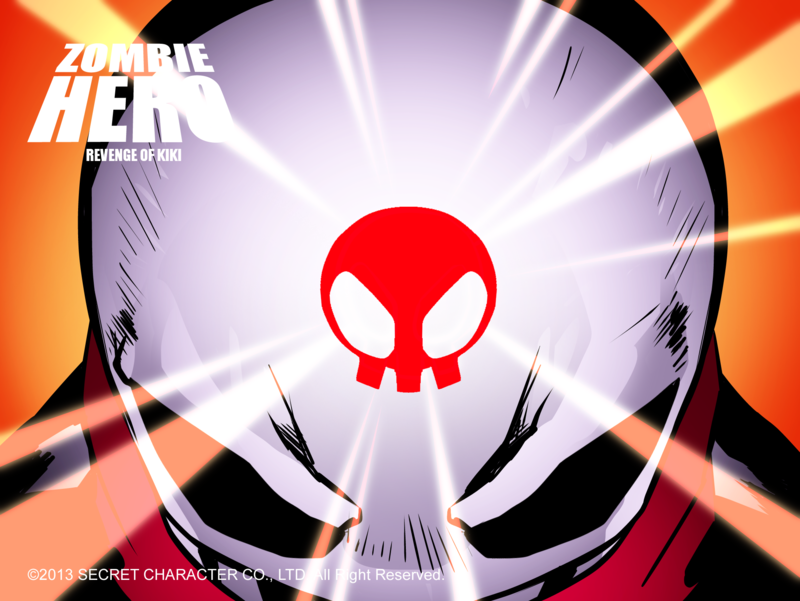 "With all the super heroes dead and oftentimes twice over, the fate of the world lays in the hands of this villain turned good." "Le seul survivant est Kiki (oui moi aussi j’ai ri) pour sauver la planète." 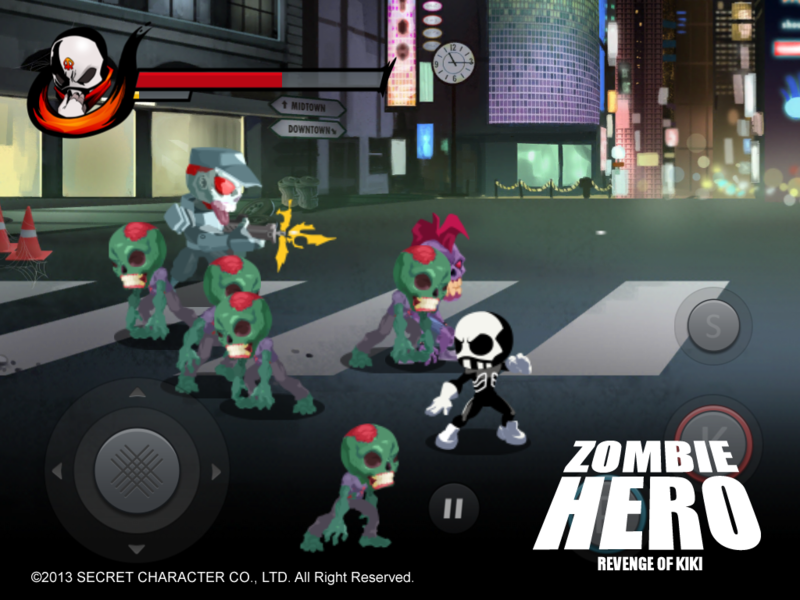 "I myself am very picky about iOS titles I download, but Zombie Hero: Revenge of Kiki looks like it will tempt me to try it out upon launch." 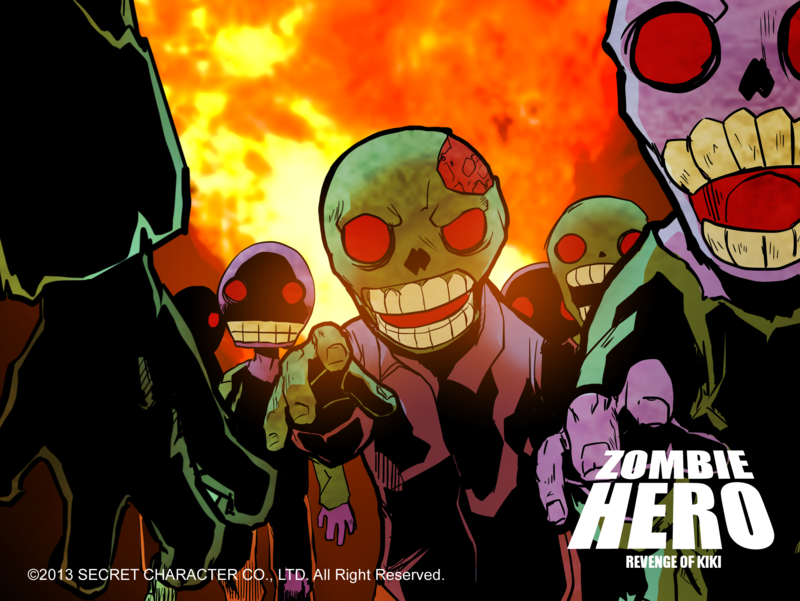 "Je dois dire que les sprites du personnage sont aussi fluides que dans Combo Crew et que c’est vraiment plaisant de voir Kiki mettre des baffes à tous ces zombies, surtout aux super héros !" "L’année 2013 n’est même pas finie que je pense déjà à certains jeux pour 2014 !" "Coverage by PlayAsiaTV during Tokyo Game Show 2013, from 6:20 and on." Some devlog while we're making the game. 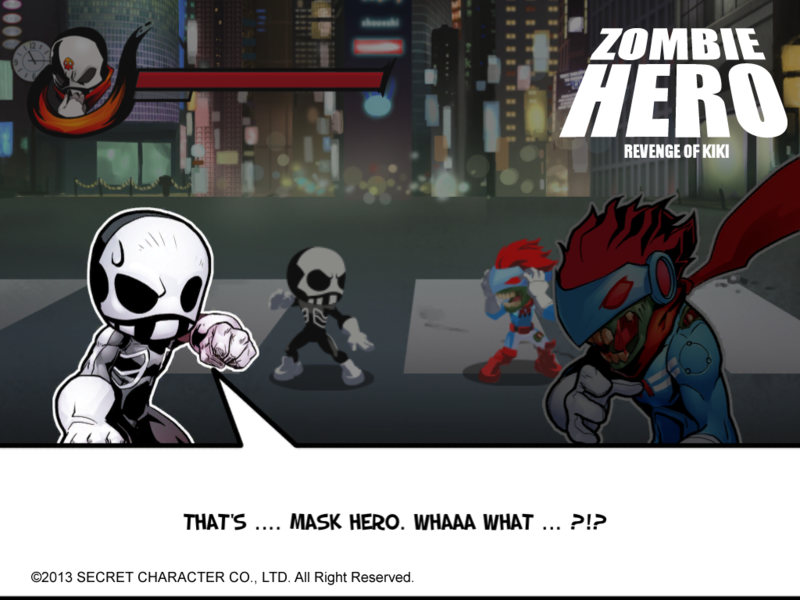 zombie-hero.com.